Summer Fun is a true grass roots community festival that would not be half as fun without support from some great local businesses. We pause to thank two of those sponsors today. 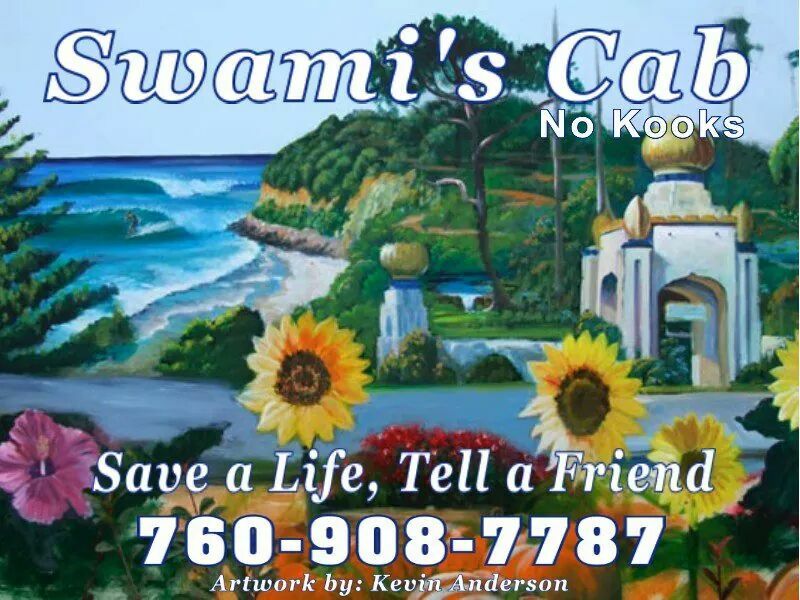 Thank you Swami’s Cab! Serving the coastal cities of Del Mar, Solana Beach, Encinitas and Carlsbad, Swami’s cab is the most trusted name in town for a safe ride. Swami’s has over ten different drivers, all of whom are upstanding locals you would feel safe sending your grandmother with. Unlike Uber or any ride share apps, Swami’s has only fully licensed drivers who are commercially insured and background checked and drug screened through the San Diego Sherriff’s department. ‘No Kooks’ is their motto and they live it!